Boeing anticipates stable growth and broad, diversified funding will continue to support efficient aircraft financing in the next year. The company’s annual Current Aircraft Finance Market Outlook (CAFMO), released on Thursday, evaluates and forecasts financing sources for new commercial airplane deliveries in the coming year and the industry’s overall delivery financing requirements for the next five years. The CAFMO also explores trends within major funding sources and their potential impact on the broader market. 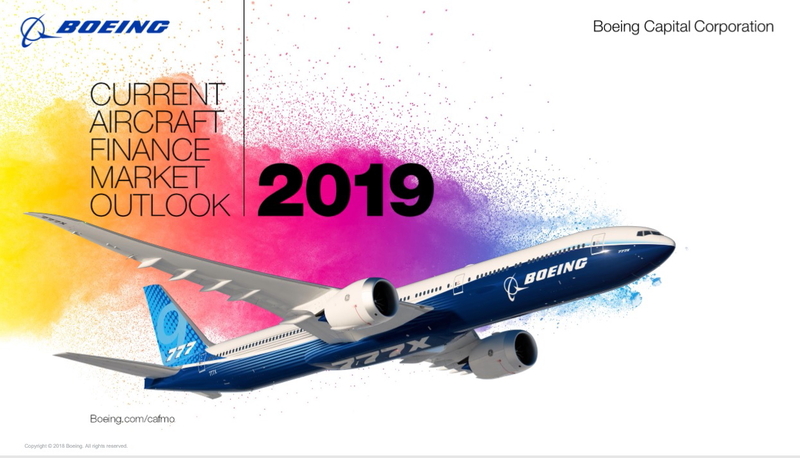 Boeing forecasts continued strong demand for new commercial airplanes in 2019, resulting in about $143 billion in deliveries by major manufacturers, with potential to grow to more than $180 billion by 2023. “Driven by a growing understanding of aviation’s strong growth potential and the industry’s attractive returns, we continue to see innovations and first-time entrants into the market, providing increased capacity for funding new deliveries as well as pre-delivery payments, mezzanine debt financing and the secondary aircraft market,” Myers said. New to this year’s report is the addition of the secondary aircraft financing market outlook, as well as expanded analysis of other funding sources, including the leasing community, tax equity and the insurance market. - Funding for deliveries is expected to be balanced between commercial bank debt and capital markets and cash. - Airlines and lessors are expected to have some of their lowest historical costs of financing. - Capital markets continue to grow, bolstered by unsecured borrowing. - Aircraft leasing has grown to represent more than 40 percent of in-service commercial aircraft ownership. - Export credit agencies remain a small but critical funding source, particularly in the United States. - Strong industry fundamentals are attracting more participants and investment in new deliveries and the used aircraft market. The full 2019 CAFMO can be downloaded in .pdf format here. See latest HD Video Interviews, Podcasts and other news regarding: Boeing, Forecast, Outlook.